My first trip to Dubai I spent 12 hours in city-state, all at night, and I am shocked that I have as many pictures from the trip as I do. Dubai is home to a ton of layovers as people go to Africa, Southern Asia, or even other parts of the Middle East. I highly recommend getting out of the airport and seeing the rest of the city. Transportation is quick and easy, and there is a lot to see. It is pretty much a perfect layover city. I don’t know about working there, or being there for more than a few days, but visiting it is great. 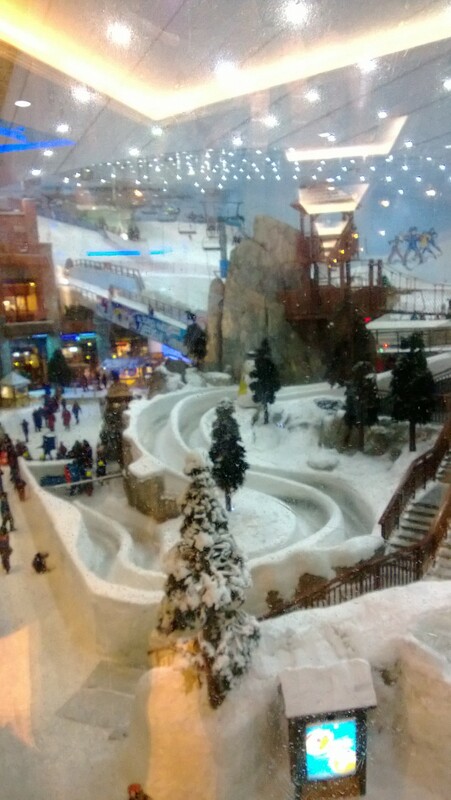 This is from the Mall of the Emirates, and is a picture of Ski Dubai, an indoor ski slope, sledding slope, and other random wintry things. My super cool snow gear and snowboard. 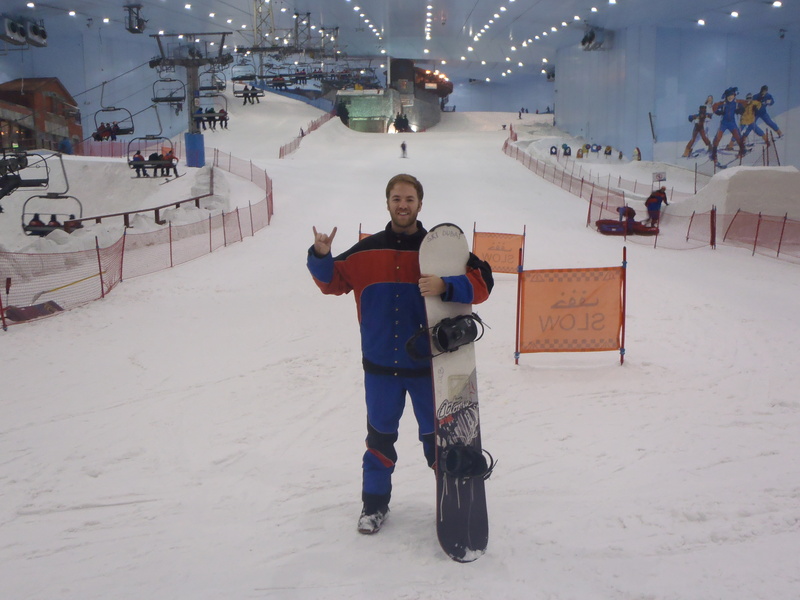 Didn’t think I would ever be snowboarding in the desert, but a guess a lot of the stuff I am able to do I didn’t expect. 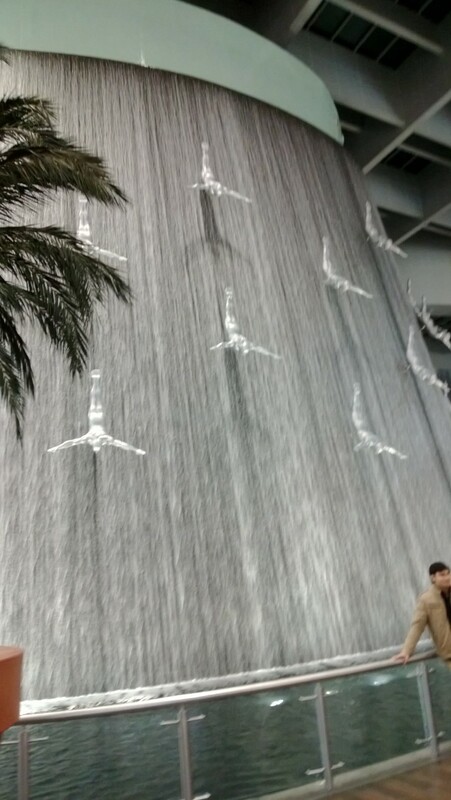 This is in Dubai Mall (yes, a different mall, I think they have three malls that are absolutely massive, and maybe like 10-20 minutes down from one another). This is the Dubai aquarium in the Dubai Mall. It’s something like the largest glass viewing aquarium or something. 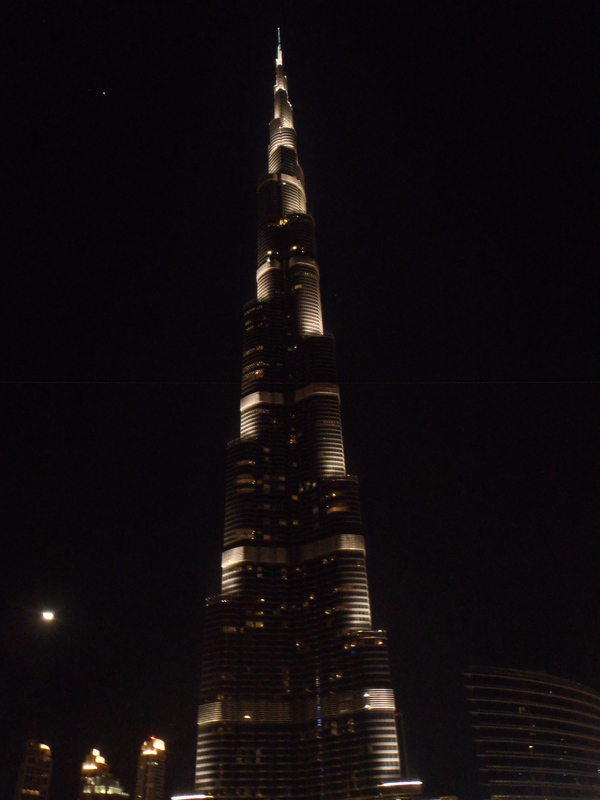 This is the Burj Khalifa, the tallest building in the world. I was able to go to the observation deck on the 110 floor (out of like 160 or something), but it was at 4:30 a.m. and so the pictures aren’t really worth posting. 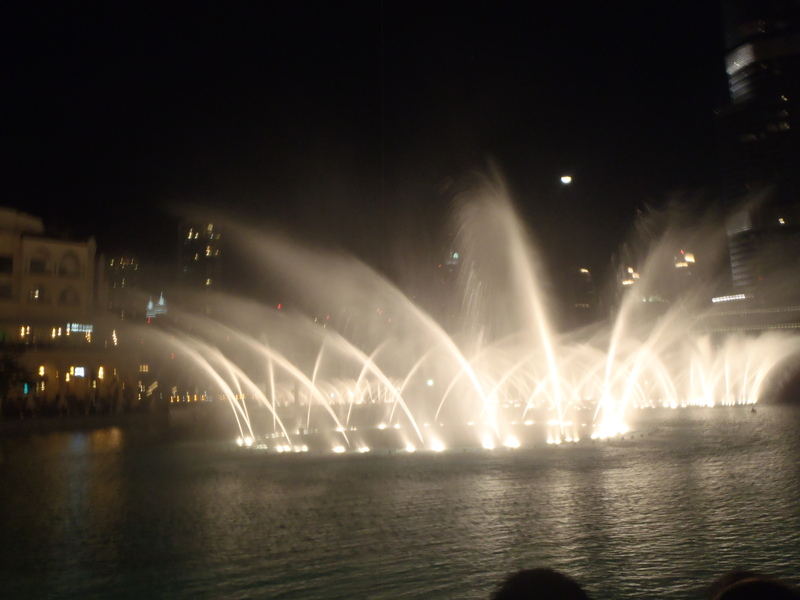 The largest fountain show in the world, it was really cool, and I have a 4 minute video of all of it, but didn’t know how to upload it. 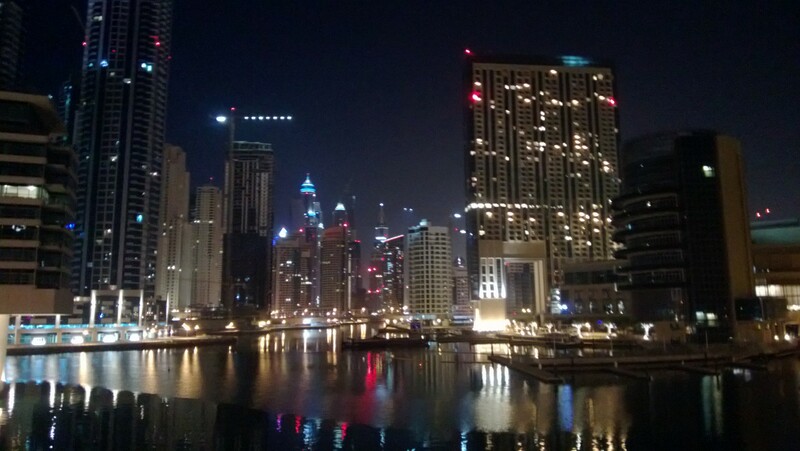 Dubai Marina. Nothing spectacular to look at, but this is just one of the many sort of neighborhoods in Dubai, and it’s amazing how big and developed it is. Also, near here was the first time I touched sand, which was just eerie, because this whole time you could be anywhere in the world, but touching sand you realize you’re actually in the desert. 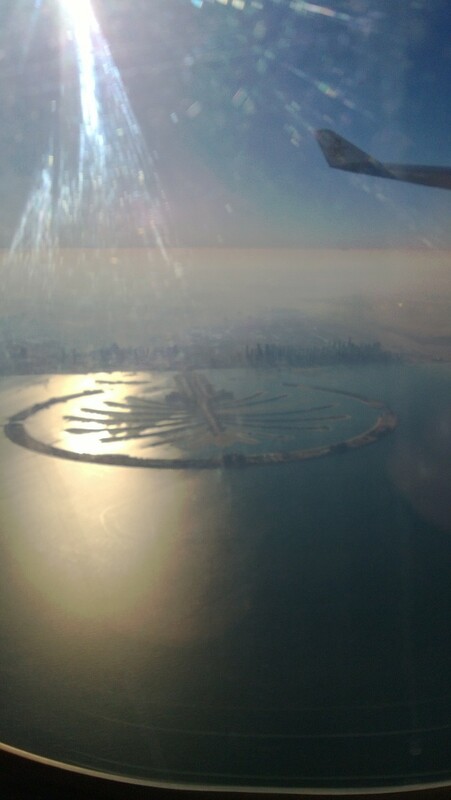 Leaving Dubai I got to take a decent shot of the Palm Islands. I didn’t get to see it on the ground, but it wouldn’t have been as good at night anyways. This is a pretty crazy picture, hence why I saved it for last. 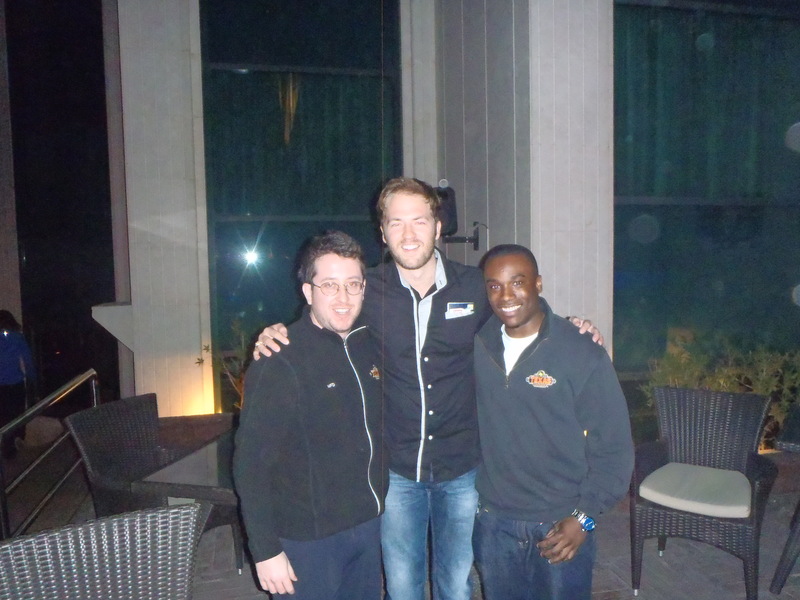 All three of us went to Mansfield High School in Mansfield Texas. Mike went to school with my sisters before me, and I was the same year as Samej. Pretty amazing that halfway across the world I am able to run into friends who were able to take me in and show me a good time. It was an awesome 12 hours. No sleep, no hotel, and no problem. 8:00 p.m. – 8:00 a.m., in and out. Also, I was lucky enough to go during their winter, and it was absolutely perfect weather. Not too hot, not too cold, just perfect for my jeans, shirt, and cowboy boots. Abu Dhabi is like the less flashy, but richer, version of Dubai. I’ve heard it’s great, and so I recommend going to check it out.